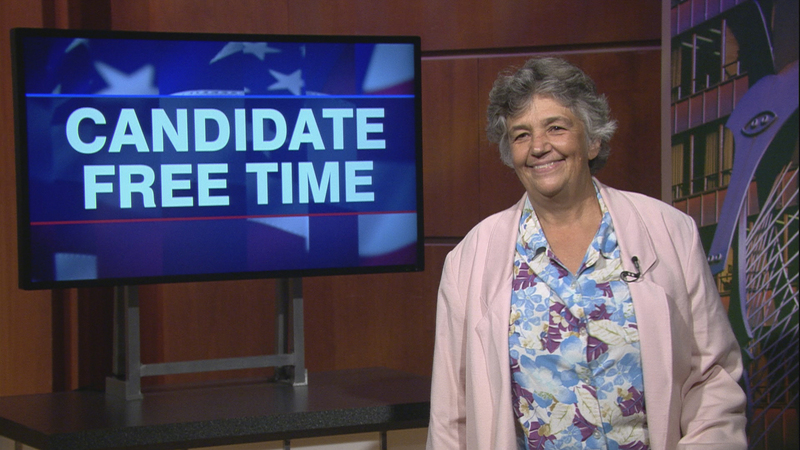 Video: Karen Roothaan tells voters about her platform. Learn more about Candidate Free Time. My vision for this office is to serve the public interest and protect the environment. The MWRD should meet the highest standards of integrity and financial and environmental responsibility. I believe the most pressing issue is the contaminants in treated wastewater and sewage sludge. I would address this issue through regular testing for hormones and drugs, not just heavy metals, as well as an aggressive educational campaign to reduce the contaminants that enter our drains and sewers through preventable actions. Although this is the issue that concerns me the most, I recognize two other issues as very important to voters: flood prevention and equity in contracts awarded by the MWRD. To address the issue of flooding we need to start by acknowledging the increase in severity of flooding. What was once considered a 100 year storm (one that would be expected to occur every 100 years or so) should now be expected more frequently. Capital-intensive projects such as Deep Tunnel are important, but to truly address the problem we also need to focus on smaller-scale more diffuse efforts that prevent water from entering the storm sewers. To improve equity in contracts I support unbundling contracts where practical so that small businesses are able to bid on projects within their capacity. Hello my name is Karen Roothaan. I am a native-born Chicagoan, a retired college teacher, and a proud member of the Green Party, dedicated to sustainability, environmental responsibility, and social justice. I am running for the office of Commissioner of the Metropolitan Water Reclamation District of Greater Chicago, an agency responsible for treating the wastewater of over 7 million residents. One of the plants, located in Stickney, is the largest wastewater treatment plant in the world, treating 700 million gallons a day, more during the heavy rains that are expected to increase in the future as our climate changes. During these storms, the volume of water frequently exceeds the capacity of our sewers, and the MWRD is forced to allow the water, now mixed with untreated sewage, to overflow into our waterways. In 2018 there were hundreds of these combined sewer overflows. During the month of June, there were overflows every single day from the 21st to the 27th. One overflow at the Stickney plant lasted over 10 hours. These overflows can be a threat to public health, but they also indicate an agency that has not fully addressed the changes expected in the frequency and severity of our storms. Even with TARP and Deep Tunnel, the Chicagoland area will need to find other ways to manage flooding, ways that are greener and less capital-intensive. Cities such as Philadelphia are already using such strategies, collectively known as Green Infrastructure, and the Green Party is calling for the MWRD to pilot similar projects on its own land, land now leased out to private companies, often in direct conflict with the general public interest in clean and safe waterways. A vote for Green Party candidates, including myself, Geoffrey Cubbage, Tammie Vinson, Rachel Wales, and Christopher Anthony, sends a message to the District that the public wants an end to one-party rule of this important agency. Please vote Green! Send a message to the Board, Thank you, again, my name is Karen Roothaan, and I am asking for your vote.